Cahuita National park boasts 618 acres of coral reef begging to be explored and 0ur Puerto Viejo snorkeling tours can take you there. The Caribbean Coast of Costa Rica is relatively unexplored when it comes to diving and snorkeling in Puerto Viejo, but it also boasts the only mature coral reef in Costa Rica. The coral reef spreads out like a fan off Cahuita Point and measures about 618 acres. The most prevalent species of coral on the reef are the elk horn and the smooth brain coral but you will also see a wide variety of marine life such as hundreds of different tropical fish including the infamous Lion Fish and maybe even a nurse shark or two!! We offer a couple different options that take you to the best snorkeling in Puerto Viejo. You can take a half day excursion where you will first snorkel in Cahuita National Marine park to explore Costa Rica's underwater life, then follow it up with a guided hike through the National Park to seek out the wildlife above ground. 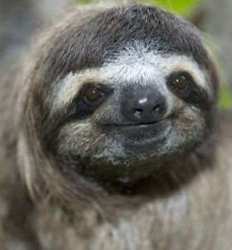 If you have time, and in case you did not get the close-up shots of the sloths you were hoping for, add the Sloth Sanctuary to your snorkeling tour and get all the wildlife you can handle all in one great day! Below we have compiled a list of Snorkeling Tours in Puerto Viejo so you can experience the best snorkeling in Costa Rica the Caribbean Coast has to offer. Choose your favorite full day combo or half day snorkeling tour in Cahuita National Park today! 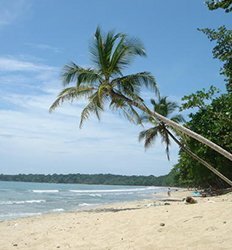 Combine your snorkeling tour in Costa Rica with a hike to Cahuita National Park and you get the best of both worlds!! The Cahuita National Park Snorkeling & Hiking Tour lets you experience both the lush rainforest and the amazing coral reefs unique to Costa Rica´s Caribbean coast, maximizing your potential for wildlife viewing. Snorkel & Hiking Tour in Cahuita National Park deposit is $10.00 per Adult and $5.00 per Child. This tour departs at 10:00 AM. Immerse yourself in both of Costa Rica’s famous rainforest and the Caribbean Sea on the Cahuita Rainforest Hike, Snorkeling + Sloth Sanctuary tour! There is no better way to experience the beautiful wilderness & wildlife that Costa Rica is known for than by snorkeling the turquoise Caribbean Sea & hiking the Cahuita National Park. Cahuita National Park Rainforest Hike, Snorkel + Sloth Sanctuary deposit is $20.00 per Adult and $10.00 per Child.